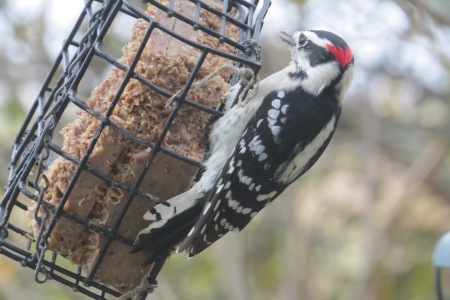 The distinctive features are the white stripe down the middle of the back along with the birds overall small size and small beak. It also has a black crown, and a checker board pattern on the wings. 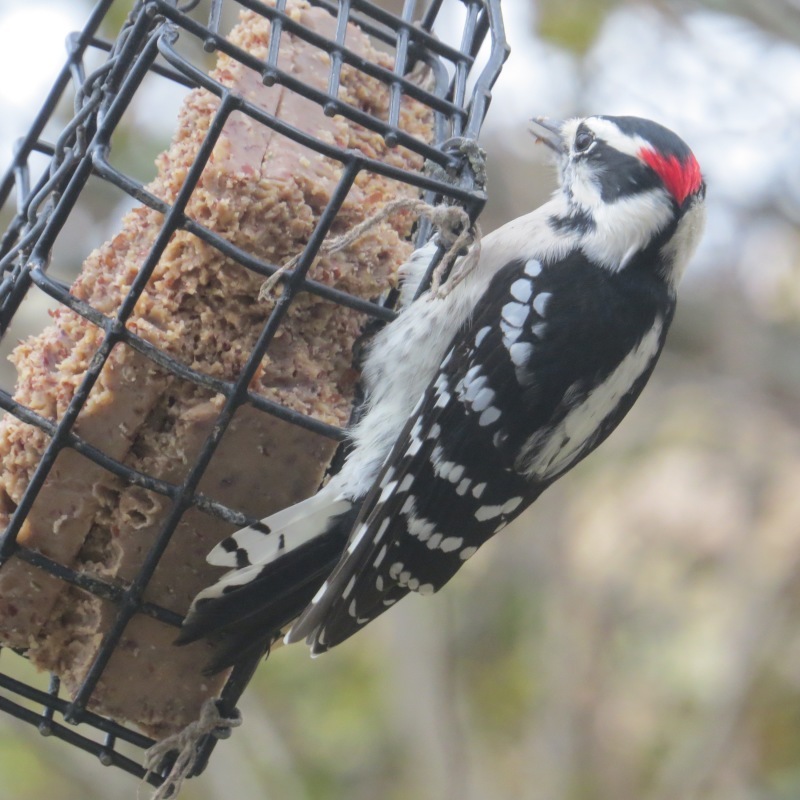 The males also have a red square on the back of the head. Females do not have the red patch. The most common call is a sharp pick. It also gives a high, slightly descending and accelerating whinny, kee-kee-kee-kee. On rare occasions the red patch on the back of the head in juveniles can actually be yellow. 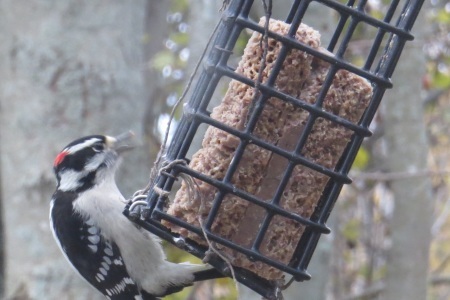 Also if you put out some suet near your feeder this is another bird that you can attract to your backyard.